제조 성분: Sodium Cocoate, Potassium Stearate, Sodium Cocoyl Isethionate, Sodium Rapeseedate, Sodium Sunflower Seedate, Aqua/Water/Eau, Coco Glucoside, Glyceryl Oleate, Erythritol, Ricinus Communis Oil, Hydrogenated Castor Oil, Copernica Cerifera Cera, Cera Alba, Fraxinus Ornus (Manna Ash) Sap Extract, Dryopteris filix-mas Root Extract, Galactoarabinan, Shorea Stenoptera Seed Butter, Parfum/Fragrance, Macadamia Ternifolia Seed Oil, Sucrose Cocoate, Butyrospermum Parkii (Shea) Butter, Prunus Amygdalus Dulcis (Sweet Almond) Oil, Oryza Sativa (Rice) Starch, Xanthan Gum, Glycerin, Stearic Acid, Sodium Chloride, Tocopheryl Acetate, Vitis Vinifera (Grape) Seed Oil, Citric Acid, Alpha Isomethyl Ionone, Citronellol, Coumarin, Limonene, Linalool. 몇 분 동안 따뜻한 물을 비누 표면을 덥을 정도로 담가둔다. 브러시를 따뜻한 물에 담가 둔 후 물기를 털어낸다. 비누에 부은 물을 브러시에 쏟은 후 브러시로 20~30초간 거품을 낸다. The aluminum tin is printed (not labeled), and coloured in green. The Aromatic Fern fragrance blends with the aromas of natural additives, creating a fresh and intense note. 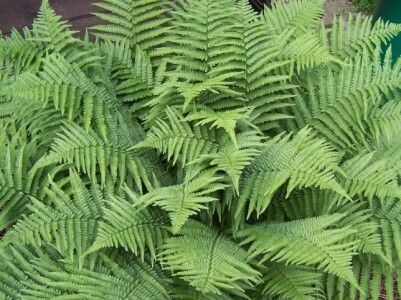 The presence of Dryopteris filix-mas Root Extract (extract of Male Fern), has the power to balance your skin. The Aromatic Fern fragrance blends with the aromas of natural additives, creating a fresh and intense note, well known and appreciated in the traditional wetshaving community. The presence of Dryopteris filix-mas Root Extract (extract of Male Fern), has the power to balance your skin. The indication Beta 4.3, indicates the stage of product development. Ingredients: Sodium Cocoate, Potassium Stearate, Sodium Cocoyl Isethionate, Sodium Rapeseedate, Sodium Sunflower Seedate, Aqua/Water/Eau, Coco Glucoside, Glyceryl Oleate, Erythritol, Ricinus Communis Oil, Hydrogenated Castor Oil, Copernica Cerifera Cera, Cera Alba, Fraxinus Ornus (Manna Ash) Sap Extract, Dryopteris filix-mas Root Extract, Galactoarabinan, Shorea Stenoptera Seed Butter, Parfum/Fragrance, Macadamia Ternifolia Seed Oil, Sucrose Cocoate, Butyrospermum Parkii (Shea) Butter, Prunus Amygdalus Dulcis (Sweet Almond) Oil, Oryza Sativa (Rice) Starch, Xanthan Gum, Glycerin, Stearic Acid, Sodium Chloride, Tocopheryl Acetate, Vitis Vinifera (Grape) Seed Oil, Citric Acid, Alpha Isomethyl Ionone, Citronellol, Coumarin, Limonene, Linalool.